Enter your email address below to receive a notification when BohemStyle DIY Jewelry Box starts accepting new sign-ups! 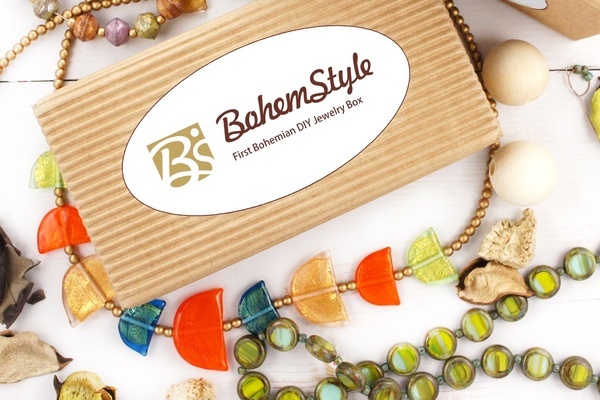 Enter your email address below to receive a notification when BohemStyle DIY Jewelry Box is accepting new sign-ups again. Your first box will be sent in 1-2 working days after the subscription. Your next box will ship in the 1st week of every month. Please order till last day of current month to get the current box. You will receive an e-mail with tracking information on the day that your box ships. Delivery time to US 5-10 business days, to Europe 3-7 business days. 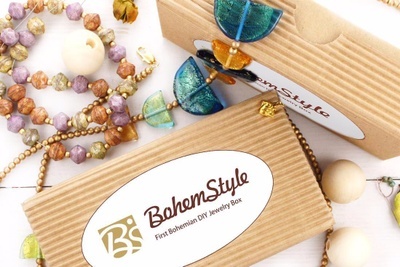 Each BohemStyle DIY Jewelry Box has high quality materials (including worldwide famous glass beads from Bohemia) to make 2 unique DIY pieces of jewelry (it can be earrings + bracelet, necklace + bracelet, pendant + earrings and so on) + exclusive links to step by step VIDEO tutorials how to accomplish your jewelry pieces. 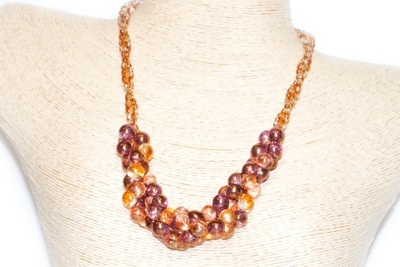 affordable price, low shipping costs and we send WORLDWIDE! Beautiful unique beads really enjoyed the box! 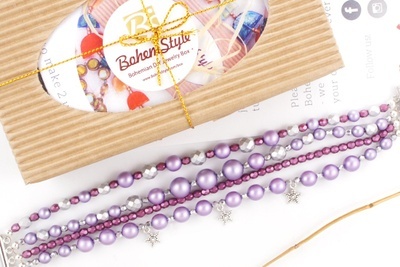 An awesome box of quality Czech glass beads! !